Larry Groupé's skills as a composer, his ability to grab a movie by its balls and turn it into an artistic endeavor beyond anything one could previously have conceived of, is uncontroverted. 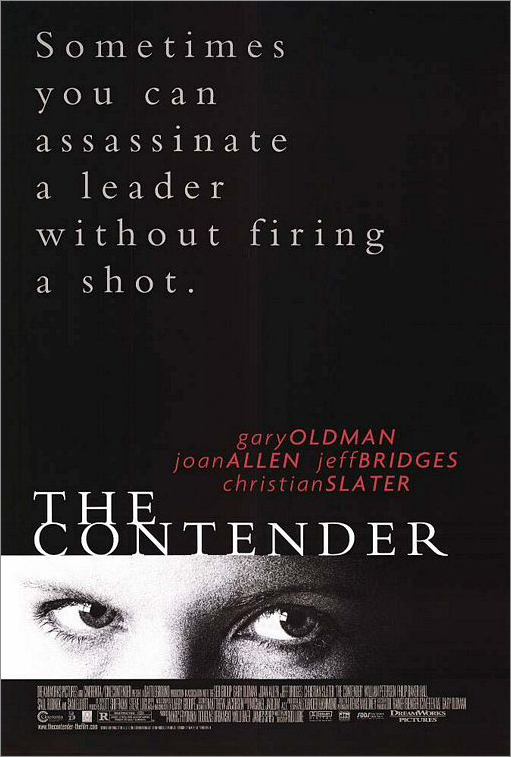 There are just a few musical cues in The Contender and they therefore stand out—each one its own charismatic gem. What Larry is able to do is not only take a scene and help find its emotional rhythm but also make that one cue part of the film's overall texture. His work is variegated to the degree that one cannot pigeonhole the specifics of his musical skill. His versatility, which I hope is evident in The Contender, is what makes him stand out. I would not say that he has a specific style—for I suspect that in Larry Groupé's mind, style amounts to self-plagiarism. The only thing you can be sure of getting when you hear a Larry Groupé score is that it will be different from anything you have heard before and that it will serve the master that is the film.